For nearly three years, I’ve had a reoccurring dream of an epic choreographed battle for one of my main characters. His name is Braden Pierce, the godfather’s nephew and one of the most dangerous swordsmen in the syndicate. For nearly three years, I’ve built up the circumstances, the motives, the purpose that drives Braden into a spectacularly violent battle against the best mercenaries an ego-centric, sadistic billionaire can buy. 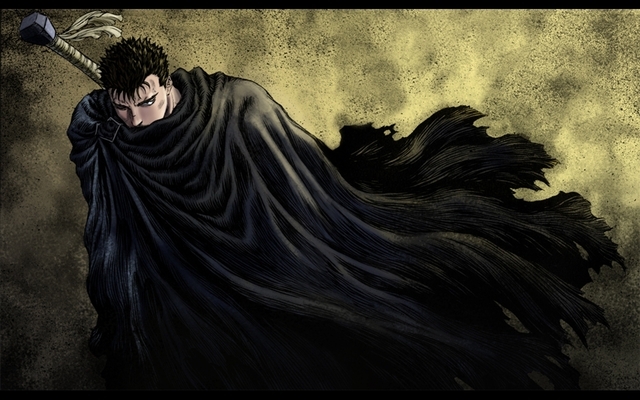 Finally…after already completing 31 chapters, churning out over 400 pages…Tomorrow I begin “Chapter 32 – The Berserk Tribute”. The title named in honor of the “Berserk” anime I watched back in 2005. Finally I get to put my dreams to paper. This is weird, right? To dream of the same violence for so long. But its not the violence that I find beautiful…its the martial arts. Its the choreography and how all of the pieces of the puzzle fit together to the groove metal soundtrack in my head. It’s over a hundred cause-and-effect action sequences that blend together like the circuits in a rocket ship. It’s the emotion, the anger, the hidden desire, an explosion of freedom that’s conveyed through brute force and unrestraint action. Tomorrow I aim to create the most detailed (graphic) action sequence ever written for a novel. And before you judge my guilty pleasure, I ask that you just stay tune for the release of the novel and decide for yourself whether certain nefarious characters had it coming.